If you are ever in Laughlin Nevada and find yourself in a blank stare, mesmorized at a slot machine in front of your face, wondering 'why the hell am I here?' 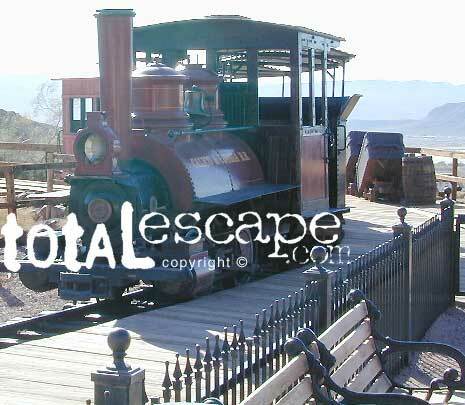 - RUN for the doors & take in the warm desert sun & scenery. 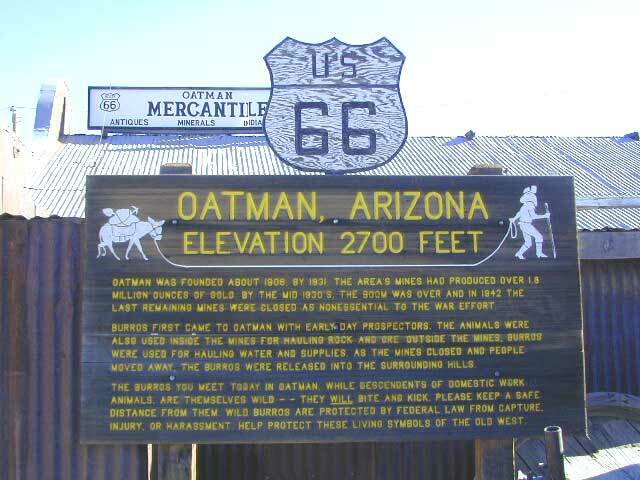 There is plenty to do around here for sightseeing & Route 66 thru Oatman, Arizona is just one favorite option. 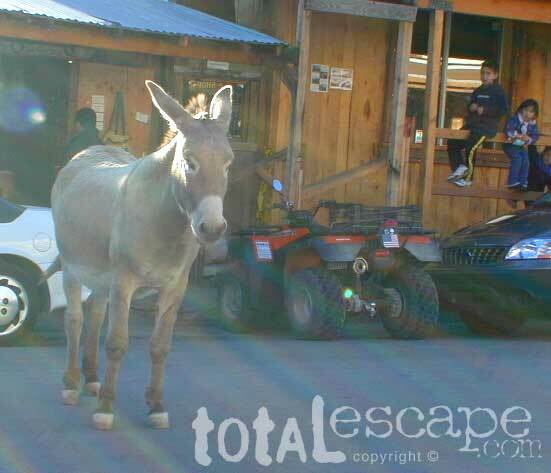 Burros walk the streets, but are not as tame as you may think. Local vendors sell carrots for feed, but always watch your fingers! 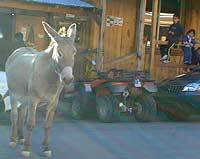 The amount of visitors or tourists can vary depending on time of day, there can be a motorcycle club rolling through, or a meeting of hot rods. Both classic cars and bikes are popular in this desert region. Holiday weekends & festival weekends can get crowded. 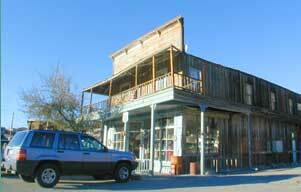 Souvenir shops, diner, saloon, western town walkways. 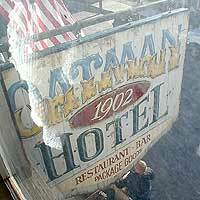 OATMAN ghost town is super easy to get to. 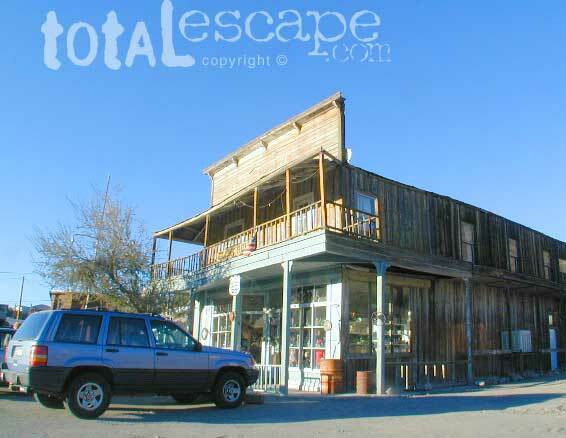 Only 12 miles off the main drag (AZ 95) Mojave Hwy. 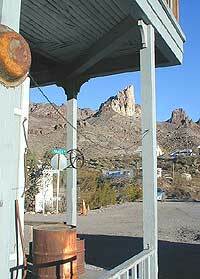 South of Bullhead City, AZ. 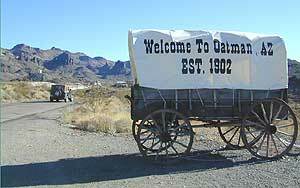 Situated up on the Black Mesa above Mojave Valley, Oatman is a modern, developed, touristy ghost town (as ghost town standards go). 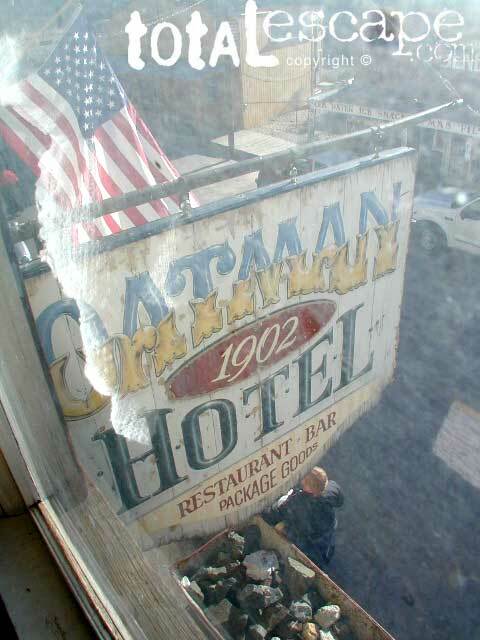 Oatman Arizona has very limited parking & bringing that huge RV up the hill via the narrow road is not recommended. When traveling in the deserts, consider more stretch breaks (mini hikes). Short hikes and viewpoints offer time for relaxing, snacking and exercise. Remember that finding a great camp site before dark is of utmost importance; but bottoming out your rig, or getting stuck is another kinda adventure. No fun. Have topographic maps of the region you plan to explore, on foot, or off-road. 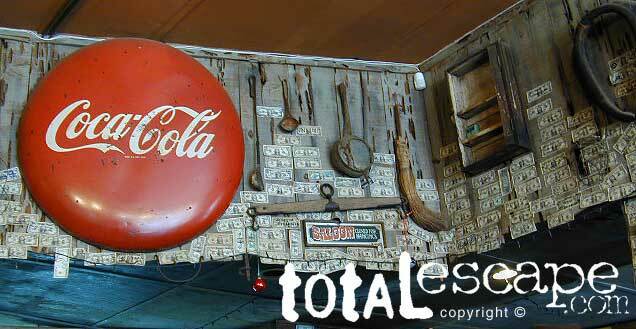 A lively, rustic town in the Arizona desert, with a silly commercial twist. Tourist trap to some, but entertaining to others. 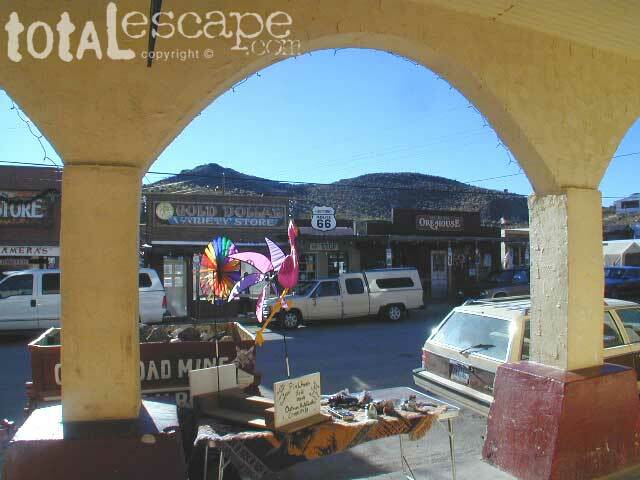 A meeting spot for travelers, an ideal lunch stop, and conveniently located on paved roads near major highways and close to Interstate 40. 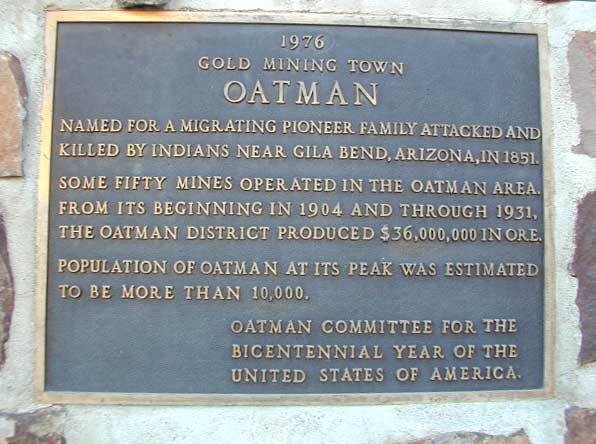 Town began as a small mining camp; soon after two prospectors struck a $10 million gold find in 1915, although the vicinity had been settled for a number of years. Primitive camping on dirt backroads is plentiful and FREE. SUV back road exploring just north of town. 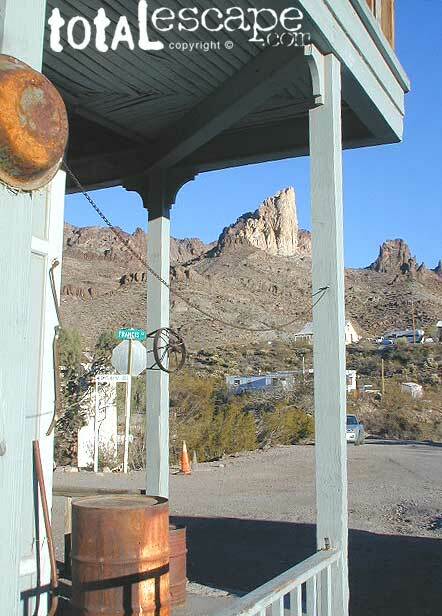 Silver Canyon Wash, a graded, dirt road continues back down to Bulhead City. A decent little loop drive (for those needing to get dusty to have fun). Camper Trailers & RV campers should be very cautious about venturing too far down any dirt road. Wash outs can change the road annually, so it is best to get out & walk it first. The California Mojave is filled with bitchin back road camp sites, and yes, some are very accessible - even with a huge motorhome.